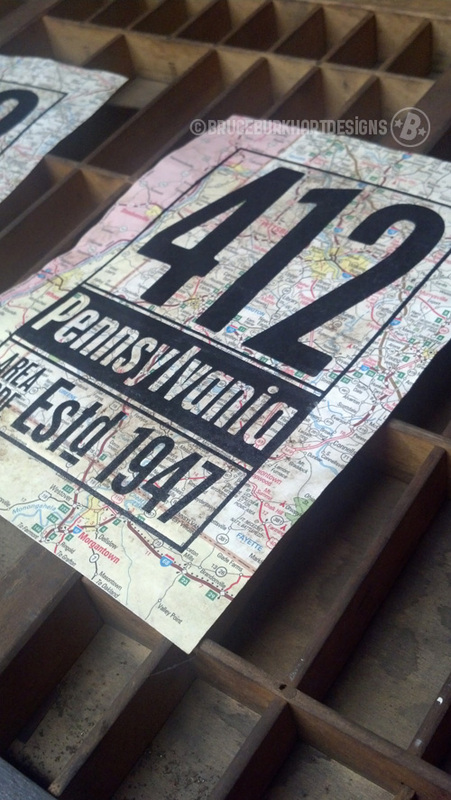 A little while ago, I printed the 717 Area Code relief print. A little birdie whispered to me to make a 412 relief print using the same technique. 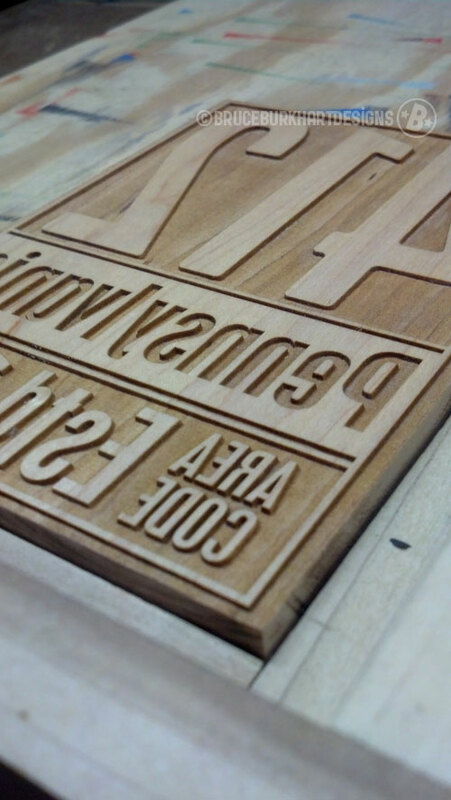 When I thought about the color to use, Printeresting Black came to mind but didn’t have any until the Hamilton Wood Type Fundraiser; a great cause and an incredible color. 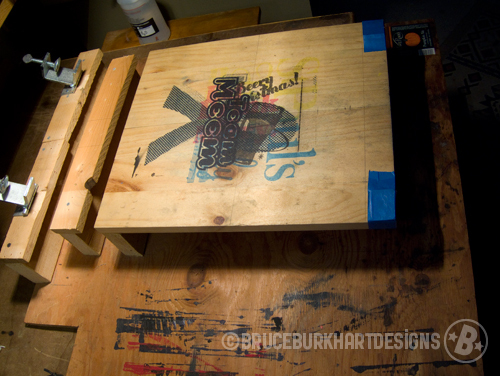 Then the art was re-worked and a new wood block etched. In a previous post, I mentioned about just acquiring the Caligo Safe Wash inks and have had minimal time with them to experiment. 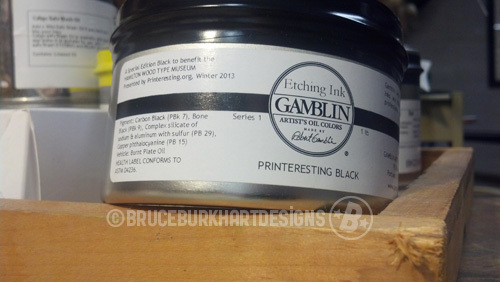 I haven’t used Gamblin inks in the past and wasn’t sure what to expect outside of what I’ve read about them. What a beautiful black! You really don’t get a good sense of the depth of this black until you see it in person. 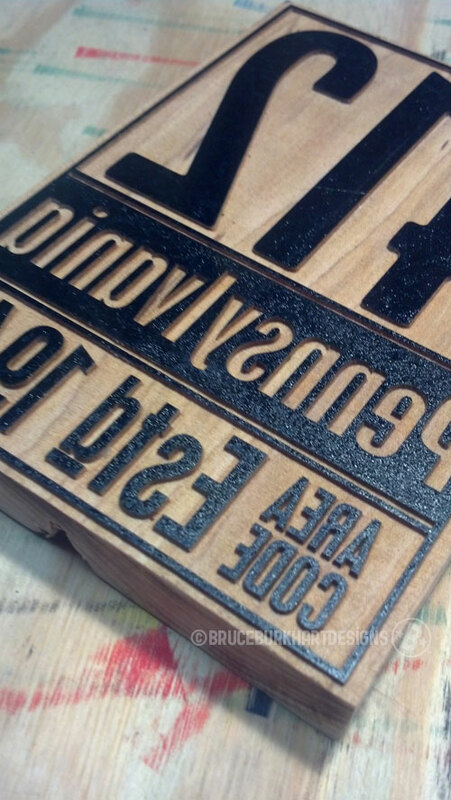 With the Gamblin Printeresting Black, a little bit goes a long way. A 1 lb. can should last a while for me! It rolled out easily and quickly straight out of the can. … and the prints pulled up without issue. The ink in these photos is still wet which is why it looks like it has a sheen. Probably partially because I was using the camera on my phone. I’m assuming the sheen will go away once fully dry. It’s also opaque, very, very opaque. These prints are not finished just yet. 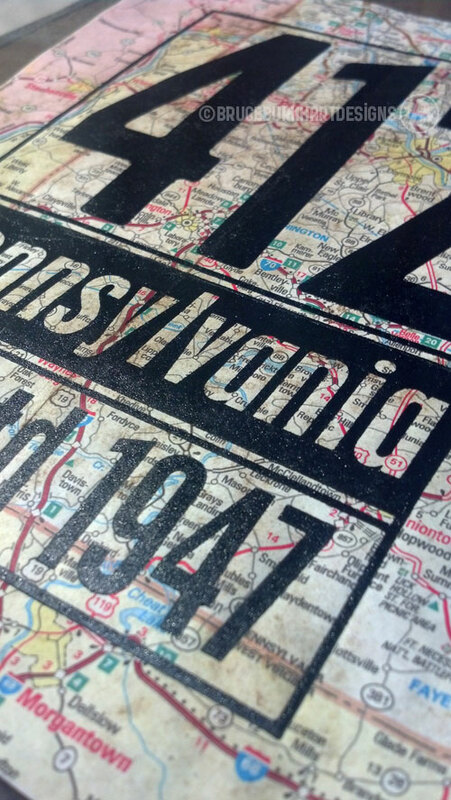 I’m going to finish them as I did the 717 wood block prints and there will (hopefully) be eight total in the edition. 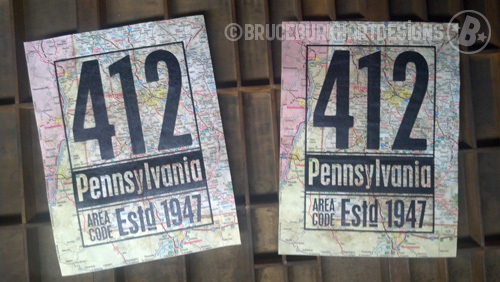 The two in these photos have been coffee stained prior to printing. 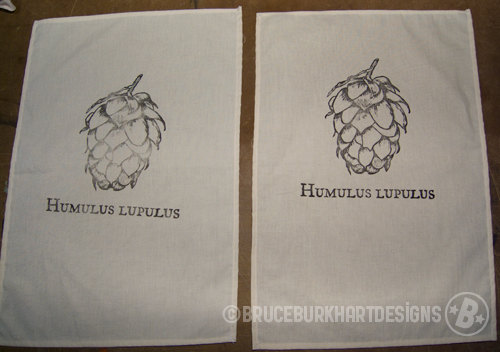 I’m not completely satisfied with how the staining turned out and will experiment with the remaining six. Perhaps a combination of tea and coffee staining; we shall see. It will be interesting to see how the coffee affects the paper over time. Yet another smattering of random phone pictures. Wow, over three months since the last post! My apologies for the lack of updates. Time seems to have sped up over the summer months! 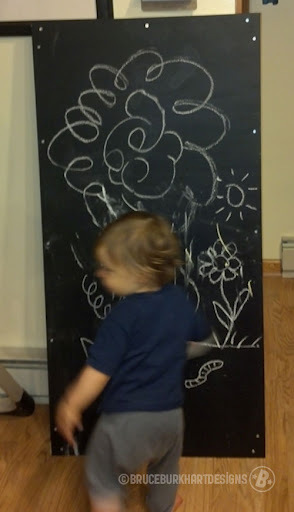 Anyway, here is the latest DIY project that I’ve completed; a sort of process post on how to make chalkboards! 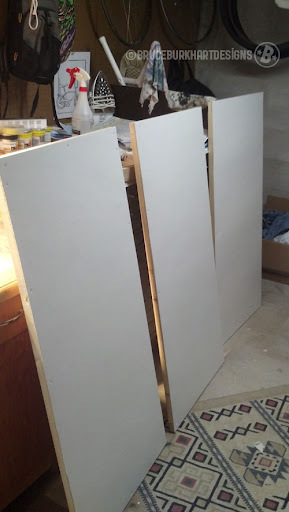 I used plywood because the local big box hardware didn’t have 1/4″ MDF. 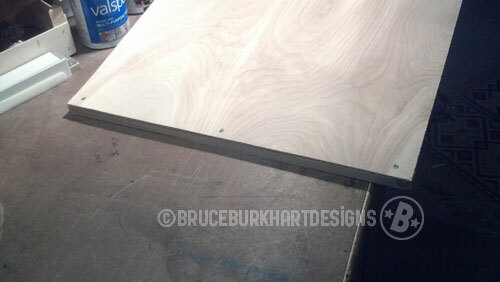 Keep in mind plywood is much more porous than MDF and MDF will have a much smoother surface. 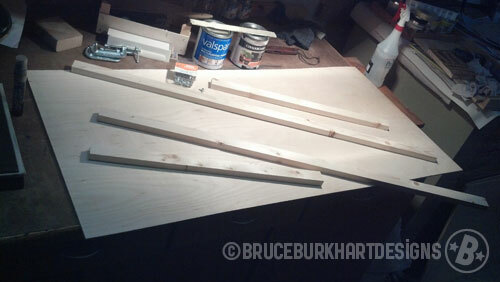 To start, cut the 1″x2″x8′ Pine to 2′ pieces and 44″ pieces and frame out the sheets of 2’x4′ plywood or MDF. 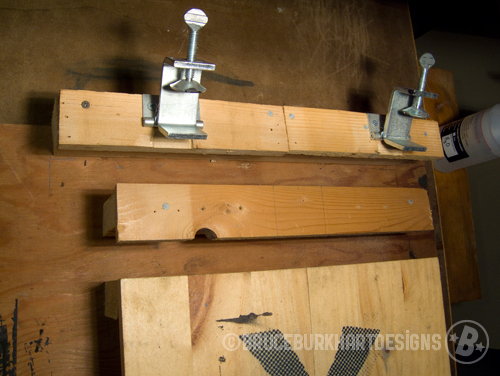 Using the 3/4″ screws, attach the 2′ Pine lengths to the 2′ ends of the plywood or MDF and attached the 44″ lengths to the 4′ sides of the plywood or MDF. 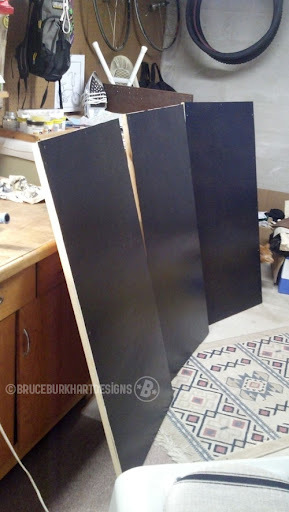 Using the primer paint, prime the surface that will become the chalkboard and let dry. 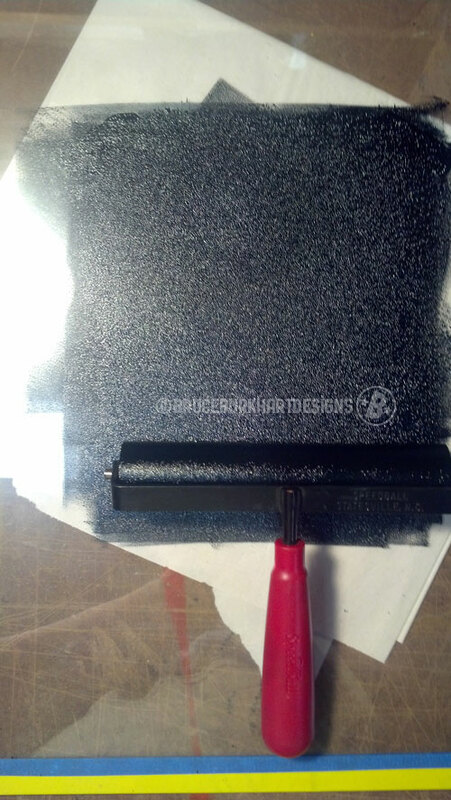 Once the primer is dry and has a satisfactory coating, using the chalkboard paint, paint the surface over the primer. Be certain to coat it evenly and completely. It may take two coats. Once the chalkboard paint is dry, screw in the eye hooks on the inside of the back and attach the framing wire across for hanging. I hope this will give some insight into making your own chalkboards or some inspiration for your own DIY project! Leave a message with any questions. I’ll do my best to answer them. 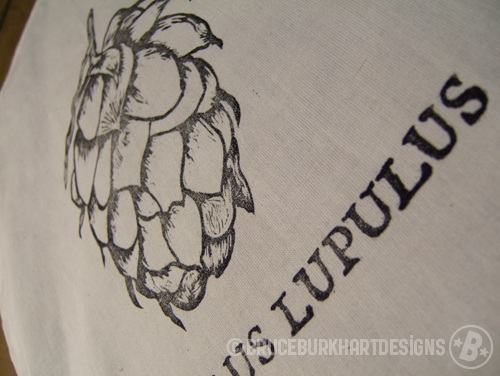 On another front I’ve made some decisions going into the next bottle cap project … stay tuned! 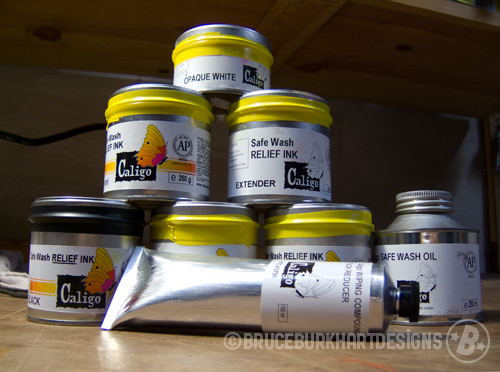 I’ve decided to switch from water based relief printing inks to Caligo Safe Wash inks. I only experimented with them on one project so far and I can tell they are going to take some getting used to; very different from water based relief inks. I’ll try to update my progress using the new inks as I use them in future projects. 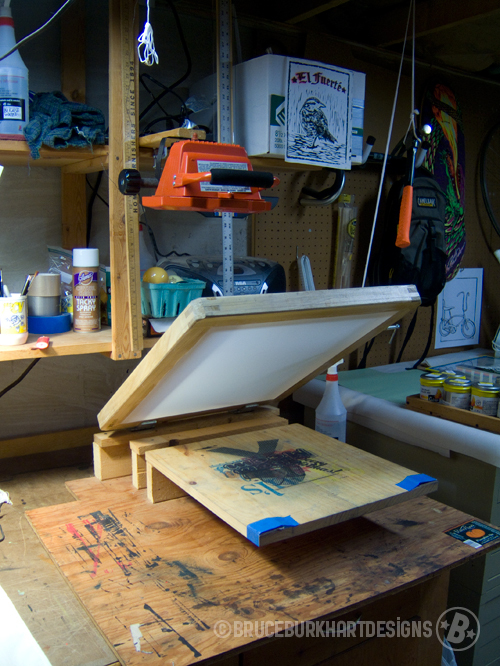 I’ve been getting some inquires as to my screen printing set-up. It’s a cobbled together simple set-up. 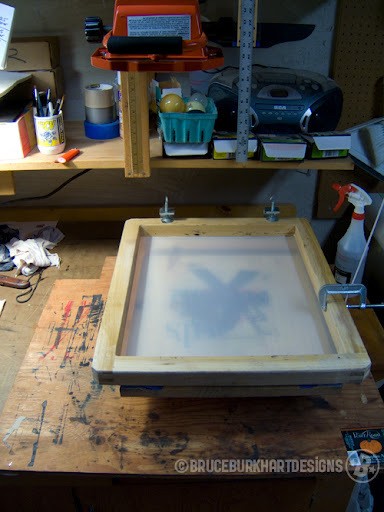 The whole thing is mounted to a chunk of 1/2″ scrap ply wood (for portability) and made to use 20″x24″ screens. 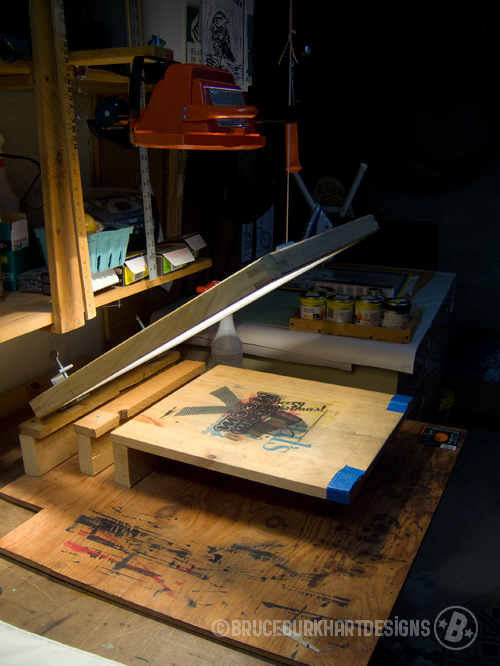 The “platform” was made to take t-shirts as well as small posters. 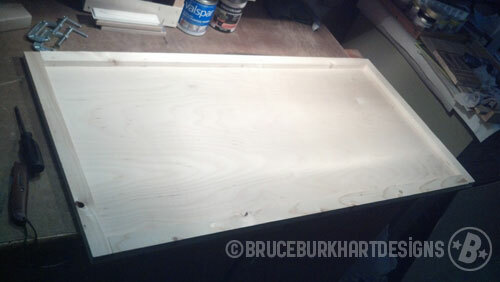 The “platform” is mounted to the base on 2×4’s and is 1/2″ thick cabinet grade piece of wood. 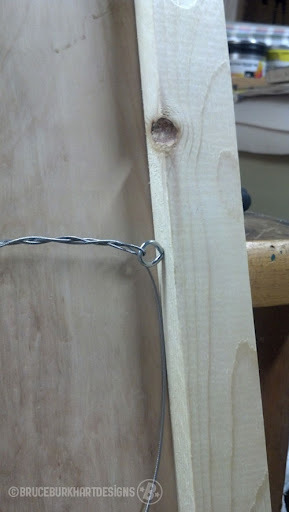 There is a shoe lace clamped to the side that goes through a eye hook and a 20 oz. 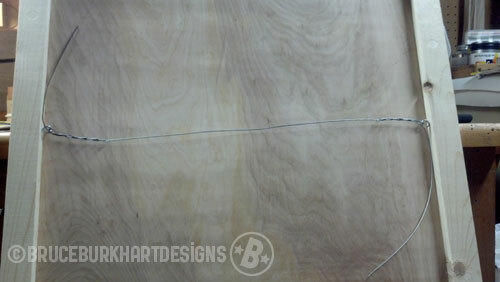 Plumb hammer through a loop on the other end as a counter weight. I haven’t done anything with registration; so I’m not sure how effective it is at multi-color projects. 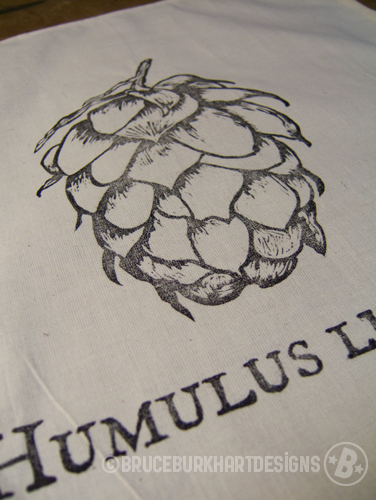 Here is the outcome of using the Humulus Lupulus block on fabric! 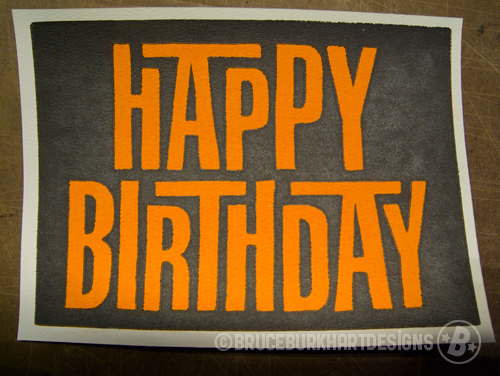 I used oil based ink (black) and fabric from the local fabric store. I applied a hot iron to cure and washed them to make sure the ink was set. I only printed two and had the edges rolled and sewn. 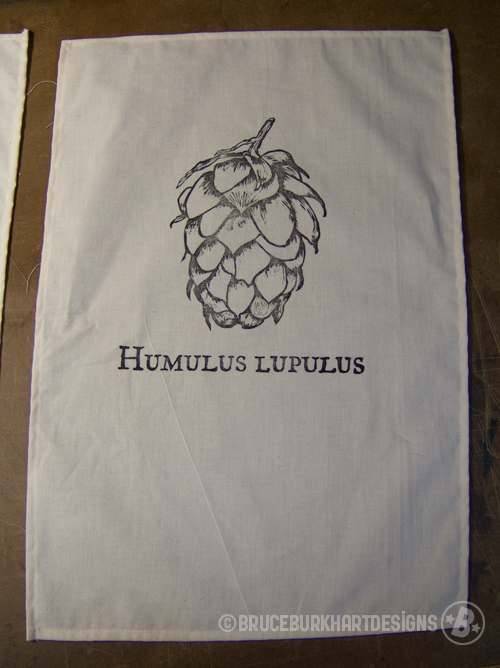 I think they turned out well and will be experimenting with block printing on fabric in the future! 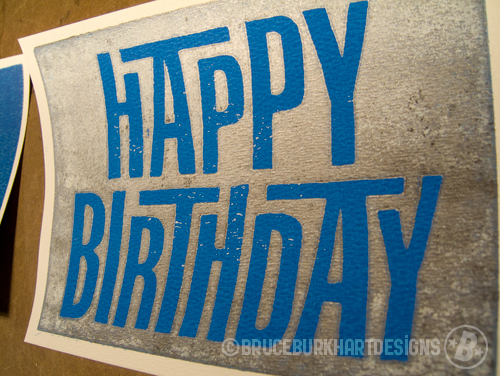 As promised, I’m updating the outcome of the birthday prints. 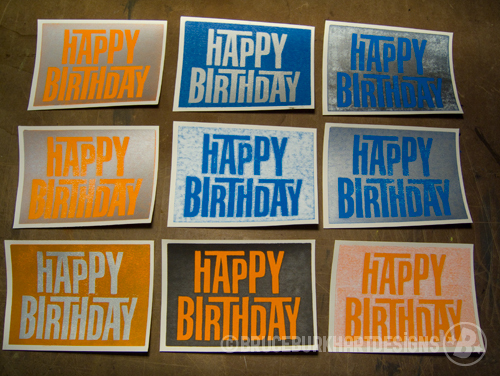 I decided to do random colors (orange, blue, silver, black) and random overprints. Some interesting, unpredicted results with some of them!